Protests in Kiev are spooking investors, and the latest is Bank of Cyprus, which plans on selling its loss making Ukrainian subsidiary Alfa Group Ukraine Limited for 225 million euro by the end of March. The Chairman of Bank of Cyprus Christis Hasapis announced the bank would be selling off its Ukrainian bank operations on Friday. “The sale falls under the Group’s strategy of focusing on core businesses and markets, and disposing of operations that are considered as non-core and is being implemented at a faster pace than what is anticipated in the Restructuring Plan,” the statement said. Bank of Cyprus has 42 branches operating in Ukraine. Branches in Russia, China, and South Africa will remain open. Focus on clients in Cyprus, where it operates 133 branches, will be made a priority. 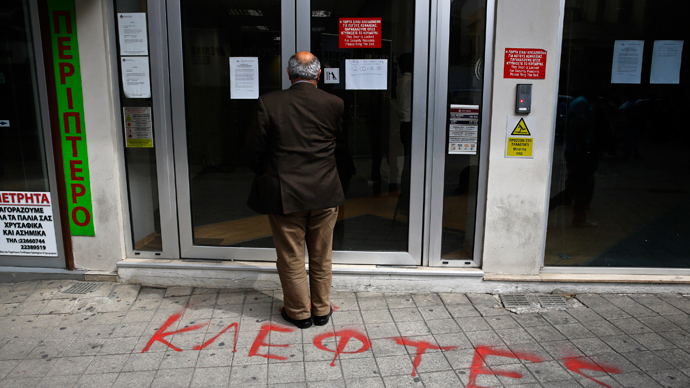 The bank has also sold its Greek subsidiary and now has 368 working branches. The sale still needs approval from regulatory authorities in Cyprus and Ukraine, so the deal could still be adjusted. The proceeds will boost the bank’s liquidity, which suffered massively after the 2013 banking crisis. 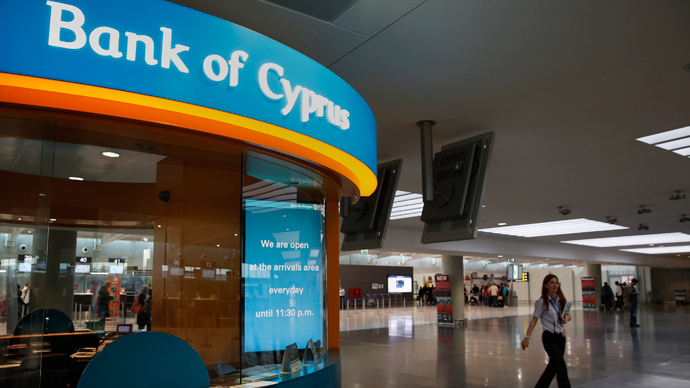 The debt crisis in Cyprus forced Bank of Cyprus, the country’s biggest bank, to abruptly close in March 2013, and reopen only under the condition it placed a levy on its big depositors to help pay for the country's bailout. Within weeks Cyprus secured a 10 billion euro bailout in emergency loans on the promise it would close and restructure the island's banks. 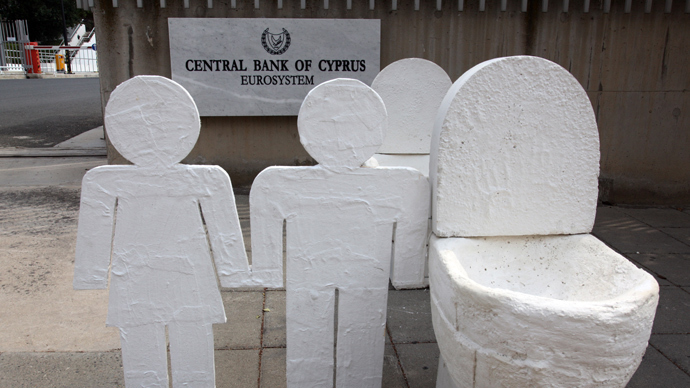 The crisis in Cyprus was largely a result of the large amount of Greek bonds Cyprus’s biggest banks were holding. On the brink of default, the Ukrainian economy has taken a further beating as protestsprotests drag on in the capital city of Kiev. Foreign debt is $140 billion, nearly 80 percent of the country’s gross domestic product. Investors worry a surge to get hold of foreign currency could lead to a government response similar to Cyprus, where authorities used capital controls to protect the currency, limiting movement across borders. 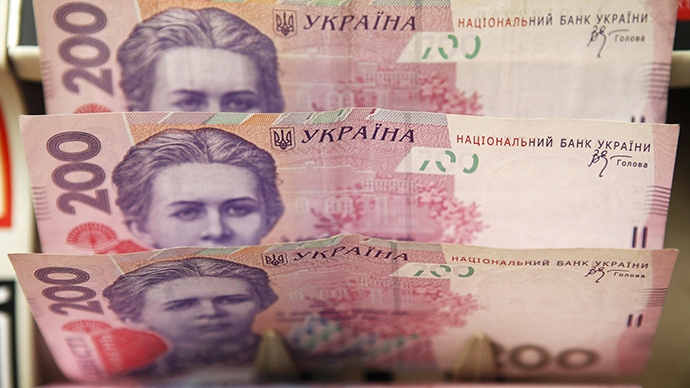 The Ukrainian Central Bank is not only intervening on behalf of the hryvnia, but is also tapping into reserves to pay the country’s mounting debt, which is a major threat to financial stability.